Rep. McAuliffe filed House Bill 3824, the Just Usage of State Subsidies In Entertainment (JUSSIE) Act, on Friday, March 29th. House bills meet committee deadline; focus shifts to floor debate. Bills not out of House committee by Friday, March 29 were automatically referred back to the House Rules Committee. Under House rules, the House Rules Committee does not have the power, unlike other House committees, to refer a bill directly to the House floor. 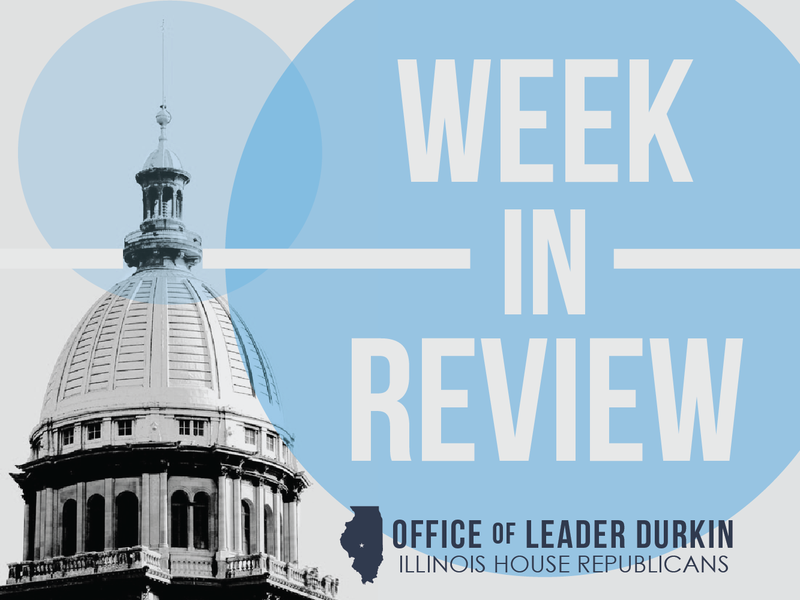 Many bills sent to the House Rules Committee are dead for the Spring 2019 session. In a few cases, a bill can be brought back to life by being redrafted as an amendment to another bill. Bills that have been reported by a House committee to the House floor on 2ndReading are ready for further discussion and debate. “Second Reading” is the technical name for a bill that can be amended. After a lead sponsor of a House bill believes that the bill has reached its final form and no longer needs to be amended, the member may grant permission to move the bill on the House floor from Second Reading to “Third Reading,” the final stage of the bill’s progress in the House. A bill on Third Reading can be called for a final vote to determine whether or not it will be passed by the House. Pritzker administration borrows $440 million. 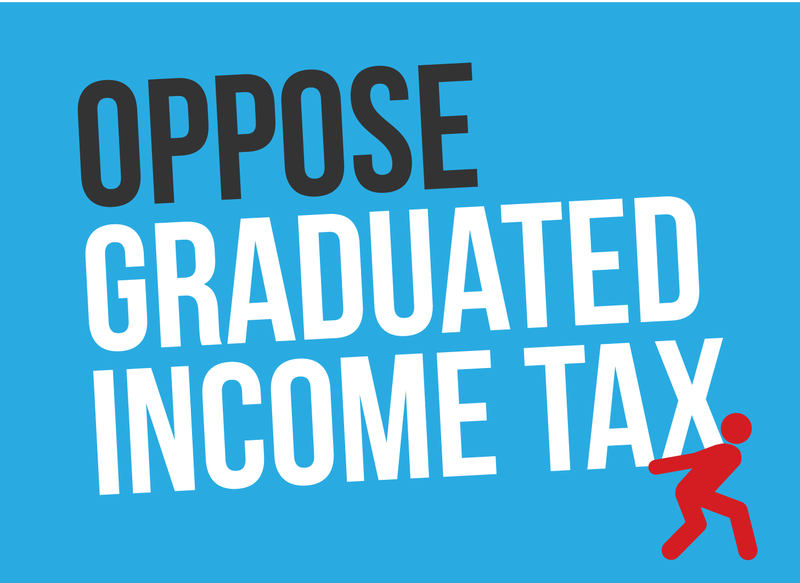 The bonds, backed by the “full faith and credit of the State of Illinois,” will roll over existing debt and raise money for capital spending. As in previous warm weather seasons, the coming of spring 2019 leads to a need for money for construction. Highway builders need both warm temperatures and money to roll concrete and rebuild highway bridges. Illinois’ motor fuel tax no longer raises enough money to rebuild our roads and do the other transportation-related things that Illinois residents expect the gas tax to do. An increasing share of our road and infrastructure spending is backed not only by motor fuel tax revenues, but by moneys borrowed on the basis of future tax revenues. For example, if trickles of money are coming in from video poker terminals all over the State, these money streams can be consolidated into the Capital Projects Fund and used to service a capital-projects bond issue. 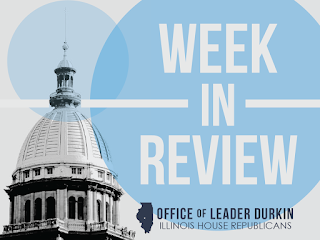 However, the State of Illinois’ decision to go to Wall Street this week and borrow $440 million was yet another sign that Illinois is spending more money than it is taking in. When comparisons are made across state lines, Illinois has the lowest credit rating among the 50 states. The major new bond issue was sold on Tuesday, March 26. Secretary of State’s Office begins issuing drivers’ licenses in compliance with federal REAL ID Act. The REAL ID cards will maintain the ability of Illinois residents to use their State-issued ID card to enter the secure area of an airport, federal building, or military base. The cards, which will be issued to Illinois residents who apply for a license to drive or who request a non-drivers’ identification card, will comply with federal laws and rules imposed in the wake of the events of 9/11. Many residents returning home from severe spring flooding in many parts of Illinois. Heavy rain and snowmelt throughout the Midwest created a “pulse” of water cascading throughout many parts of Illinois, from Freeport in northern Illinois to Cairo at the state’s southern tip. While high spring water is a tradition along the banks of the Mississippi, unusual flooding on the Pecatonica and Rock Rivers has created local disaster conditions. The Illinois Emergency Management Agency (IEMA) has stepped in and has published online health and safety tips for residents and property owners affected by high waters and flood damage. State Trooper killed on duty in Stephenson County. The death occurred on U.S. Highway 20 near Freeport, Illinois. Heavily used by cars and trucks, the multi-lane highway is patrolled by officers of the Illinois State Police. When they make traffic stops, an Illinois police officer must park by the side of the road in order to carry out all of the procedures that accompany an act of law enforcement. An Illinois law, called “Scott’s Law” in honor of a fallen first responder, requires drivers to slow down, and if possible to move over and change lanes, whenever they see a first-responder vehicle parked by the side of the road, particularly when its lights are flashing. In the fatal incident of Thursday, March 28, Trooper Brooke Jones-Story was struck and killed by a semi-trailer truck while inspecting another semi-trailer truck. Another semi-trailer struck the police officer. Trooper Brooke Jones-Story’s death marked the fifteenth Illinois State Police collision incident to occur so far in 2019. The State Police has told motorists they are stepping up enforcement of the “Scott’s Law” first-responder law. In addition, Representative Tim Butler is sponsoring HB 2417 to increase penalties for aggravated violations of the law. 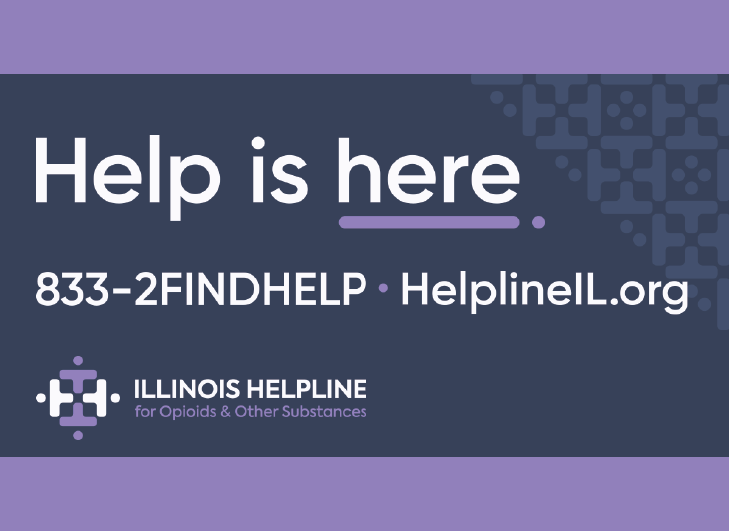 HB 2417 has been approved in House committee by a unanimous vote of 13-0-0, and is currently awaiting a final Third Reading vote in the Illinois House.